Our hosting provides cPanel with Installatron, a one-click web application installer that enables blogs, photo galleries, forums, shops, and other top web applications to be instantly installed and effortlessly managed. Your hosting account has access to a MySQL compatible database, the MariaBD. MariaDB was made by the original developers of MySQL and it’s the new default database in some new Linux distributions, as your hosting OS: Linux centOS 7. To access your database use localhost as server address/IP. For security reasons, the database has disabled network connectivity, so you can’t access it from outside, using any TPC/IP connection. 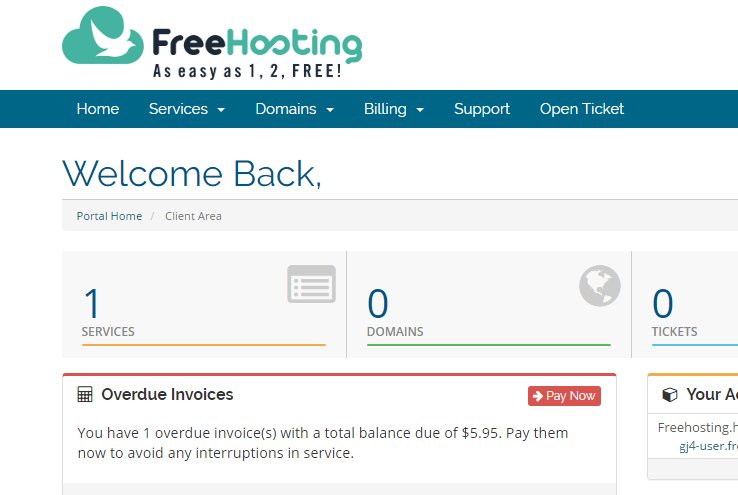 The free web hosting service can be suspended due to lack of sign-in to your client area. To reactivate your service access your client area and click at “Reactivate my webhost” button, on your service screen. To avoid suspension every 30 days without performing login, upgrade your plan and enjoy all the other benefits of our paid plans. Inside cPanel, you can change PHP versions, enable/disable PHP extensions and change PHP options. It anable you to change php.ini variables with a fast an easy editing GUI. 1. Inside cPanel, at SOFTWARE group, click “Select PHP Version”. 2. 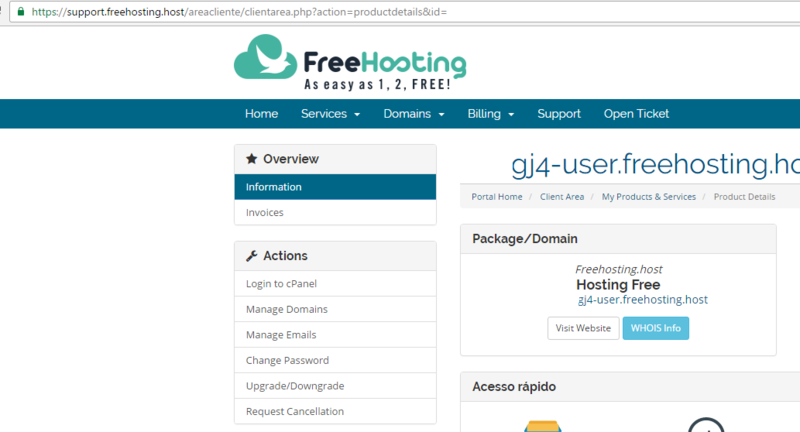 At this screen you can change PHP version and enable/disable extensions. 3. At right-top screen, you have a link to “Switch To PHP Options” where you can setup other limits. Click at left menu item “Change Password” and follow screen instructions.